15/08/2014. Erbil, Iraq. 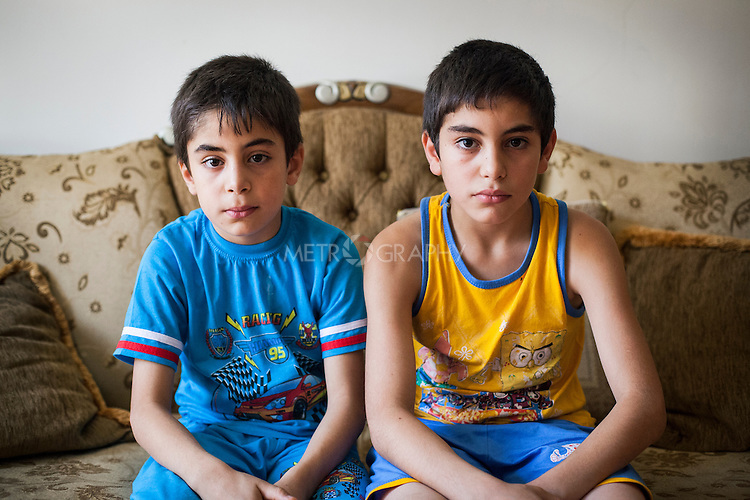 Iraqi-Christian orphan brothers Milad (left) and Wassam are seen in at the house in Ainkawa where they are staying with their uncle.